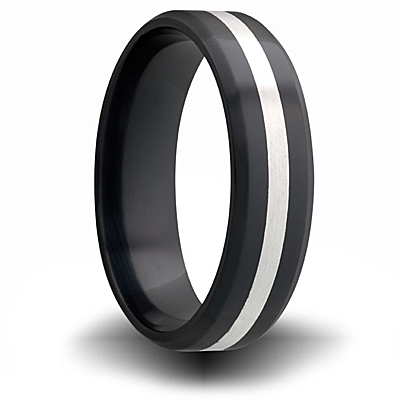 Solid black zirconium ring has a flat center and sterling silver inlay. Comfort fit. High polish finish. Ring is 7mm wide. Made in USA.